September 9, 2015 in Poetry, The Arts. Lamentation?It is too hard work. Angus was born in Glasgow, grew up in Galloway, and was educated in Edinburgh and Dundee. 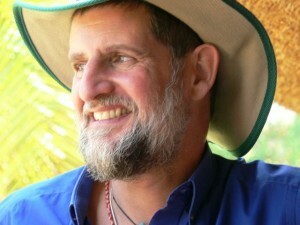 He has had a career in education which included 25 years as an international school teacher and administrator in Spain, China, Nepal, Indonesia and Zimbabwe. Since winning his school poetry prize in his youth, he has had an abiding interest in poetry and his poems have appeared in various publications. He returned to Edinburgh in 2008 and spends his time writing, doing voluntary work, and addressing conferences, seminars and symposiums about the patient experience of cancer using his poetry as an aid to communication. He has recently published a collection of poems, Lights in the Constellation of the Crab and House Clearing by Moonlight, in aid of Maggie’s Cancer Caring Centres. April 30, 2015 in Poetry, The Arts. The body has a lump. on the left side reaching down. too many sit-ups rippling my abdomen. The spleen is considerably enlarged. Funny how you need to be alerted to the spleen’s existence. Heart, lungs, liver, kidneys – you know of them. Even the pancreas and the bitter gall. What does the spleen do anyway? And where exactly should it be? Spleens rupture – don’t they? Yes, but this is not a ruptured spleen. The spleen helps to clean the blood. It is part of the immune system. Then why is it so big and hard? Why do I feel a frisson of fear along my spine? In your system for some time. and all its letters have soft curves. hard in the skull like a splenetic Viking’s hammer. Like a dead pig into ham. straight to the spleen of the matter. exactly what we are dealing with. Then we will cure it. And then, perhaps, a stem cell transplant. you may imagine from all you’ve heard before. Many don’t even lose their hair! I run my hand through my beard. Thank you, doctor, I appreciate it. a hoopoe bobbing on the lawn.